Rebecca is a graduate of the Georgetown University Law Center. While living in Washington D.C. Rebecca worked on a variety of projects: contract litigation, tobacco litigation, criminal litigation, real estate law, employment law, taxes and asset protection, and mergers and acquisitions. She held legal positions with The Nature Conservancy, the Department of Housing and Urban Development, and the law firms of Silver Freedman & Taft LLP, and Krooth & Altman LLP. She was a summer associate at Schnader, Harrison, Segal & Lewis in Philadelphia. Also, during law school Rebecca represented juvenile criminal defendants as part of Georgetown’s clinic program. After falling in love with mountains while taking a semester of law school classes in Innsbruck Austria, Rebecca toured the United States looking for a home that had natural beauty and did not require an hour and a half commute. The first day she was in Salt Lake City, she decided that this was her new home. Rebecca graduated from law school in 2000 and immediately moved to Utah and began to practice law here. 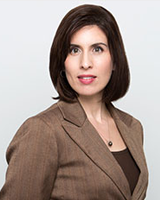 She has focused on Family Law and other litigation, including business and contractual disputes. In December 2004, Rebecca left a medium-sized family law firm to create her own firm which now has five lawyers, three paralegals and two support staff employees. Rebecca is a Utah State Court Rostered domestics mediator and also has been an adjunct legal and political science professor. Our commitment to our clients is what drives us. We strive to make our clients’ experience with us more positive, productive and pleasant than they would experience with any other legal office. You have a team of people working on your case. This team includes at least one attorney and at least one paralegal. Often the attorney will provide a direct extension or personal cell phone number if needed. Your team can be reached by phone, fax, email, or in person. Your team will frequently check voicemail messages and emails so that any urgent situation can be dealt with immediately. If needed, we will make ourselves available beyond regular business hours to accommodate the needs of our clients and potential clients. We can offer consultations in the evenings, into the night and on weekends. We return all calls and emails by the end of the next business day or earlier. Period. We want you to be intimately involved in the development of your own case or project. Ultimately, we are here to protect you, and we do that best by keeping you engaged and informed. Each document that enters our office in reference to your case will be forwarded to you for your own personal files. Whenever possible and appropriate, each document that we draft on your behalf will be forwarded to you for approval. Every step of your case will be outlined and approved by you before we move forward.